It was a rough start to the home portion of the 2014 schedule for the Cleveland Indians. In dropping two-of-three to the Minnesota Twins who are not … very good … the Tribe was done in by its starting pitching and lack of clutch hitting. Danny Salazar had the best start of the weekend, even through the struggled through 5.2 innings of work in Friday’s home opener. While he gave up seven hits, Salazar managed to find a way to hold the Twins to just two runs and give the offense time to rally. 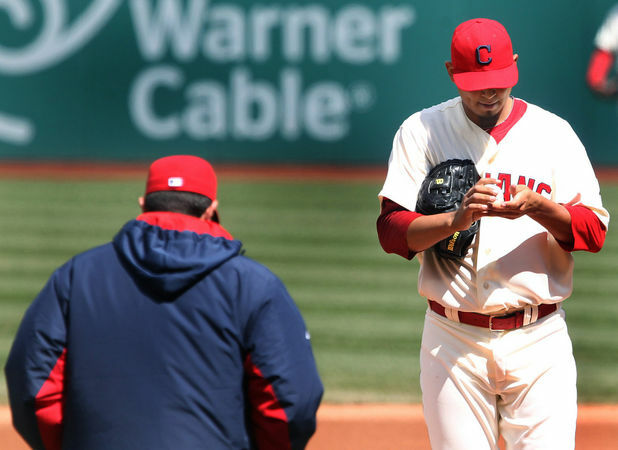 Carlos Carrasco had his own issues on Saturday, but unlike Salazar, Carrasco doesn’t have the makeup to work himself out of problems. Carrasco followed Salazar’s lead by working just 5.2 innings and giving up seven hits, but he couldn’t keep the Twins off the scoreboard in giving up five runs (four earned). Despite Carrasco’s struggles – and aren’t we so very excited he made the rotation simply because he was out of options – the Indians had a good chance to win the series with No. 1 starter Justin Masterson on the mound. That plan went out the window quickly, however, as Masterson could only go 3.2 innings, giving up seven hits (the theme of the weekend) and six runs. As bad as the starting pitching was, the clutch hitting was even worse. After going eight-for-34 over the weekend, the Tribe is now hitting just .191 (13-of-68) with runners in scoring position on the season. With the way this team is currently hitting, it’s a bit of a surprise that the Indians are 3-3 on the season. OK, deep breath time. The season is only a week old; the Tribe should get things worked out. Monday night against San Diego, who come to town for a three-game series, would be a good place to start. It wasn’t pretty, but it still counts for three points. And right now that is all that matters. Liverpool had to sweat it out against West Ham on Sunday, but the Reds walked out of Upton Park on the right side of a 2-1 score to keep a hold of the top of the Premier League table. The win was Liverpool’s ninth consecutive in the league and one of the more unattractive ones from the squad in recent memory. It was also the first time the team won a game this season where neither Luis Suárez nor Daniel Sturridge scored a goal – they had been 0-5 before Sunday. 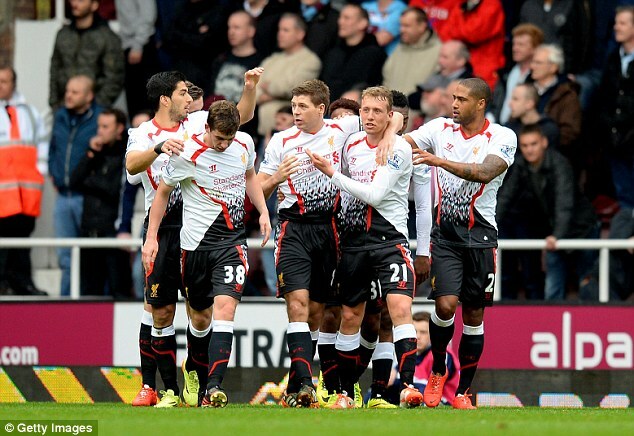 Most importantly, it was the type of grind-it-out win that reveals the true nature of a title-contending squad. The biggest test of the season now awaits the club next Sunday, when Manchester City – four points back with two games in hand – visits Anfield for what is sure to be an insane day. “I thought it was interesting to hear Vincent Kompany talk about we are the best team they have played,” Liverpool manager Brendan Rodgers told The Guardian. “We should have won at the Etihad this season, we should have won there last season but drew 2-2. We should have beaten them at home. We were 2-1 up, then made a mistake and it was two-each so the team we have put together, the mentality is to be fearless. Browns busy doing things. Important things. The Cleveland Browns start off-season workouts on Monday, giving head coach Mike Pettine his first chance to do some actual work with his team. 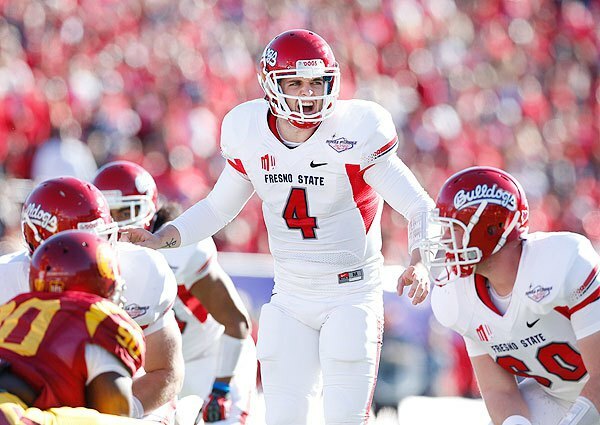 The Browns have been staying busy, of course, as they are reportedly working out quarterbacks Blake Bortles, Derek Carr, Teddy Bridgewater, Jimmy Garropolo, Tom Savage, Keith Wenning and Johnny Manziel. This past week, Pettine, general manager Ray Farmer, offensive coordinator Kyle Shanahan and quarterback coach Dowell Loggains ran the workouts with Bortles and Carr. “We’re doing our homework on all these guys and we’re going to log a lot of miles here in the next couple weeks and hopefully we can find that quarterback that’s going to best serve the Cleveland Browns,” Pettine said. According to Carr, the Browns really put him through a workout. Yeah, tell us again about how the Browns are a disaster because they are not attending Pro Days. What’s that about a picture being worth a thousand words? By now we assume just about everyone has seen Cleveland Frowns’ photo from outside Progressive Field before the home opener on Friday. 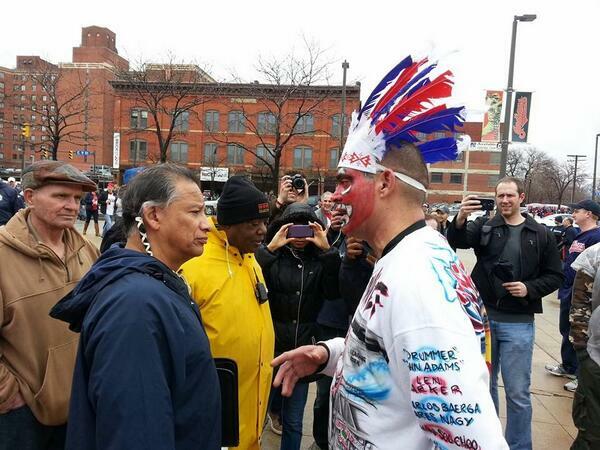 No matter which side you currently find yourself in the Chief Wahoo debate, you really need to read Cleveland Frowns post on what went down as well as Sam Allard’s article from Scene about some fans reactions to the protest.